Wearables are on the rise once again as analyst firm IDC revealed that sales in the third quarter of 2017 (that's July to September), were up 7.3% from the same period of last year. IDC puts that improvement down to a growing trend in smart wearables. If you're wondering what a smart wearable is, IDC defines it as a device that's capable of running third party apps. So we're talking the likes of Apple Watch, Fitbit Ionic and Samsung's Gear Fit2 Pro fitness tracker/smartwatch hybrid. While smart wearables are on the up, basic wearables, which don't run third party apps are in decline. This is not the first time we've heard that was the case. 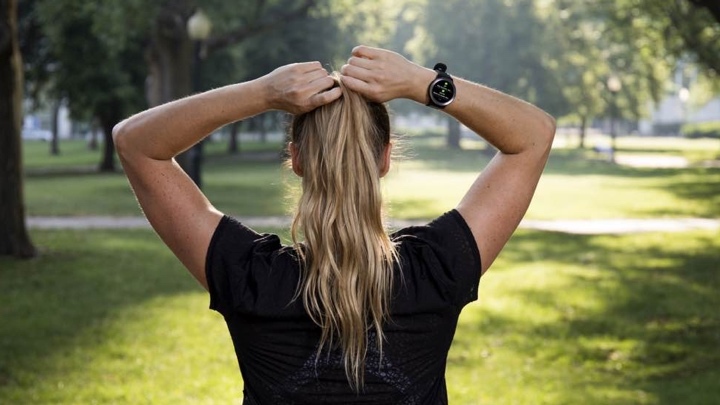 Back when we spoke to Garmin a few months ago around the launch of its Vivoactive 3, Vivomove HR and Vivosport fitness tracker the company told us that it was seeing a decline in the sales of its more basic devices. "Basic wearables – with devices coming from Fitbit, Xiaomi, and Huawei – helped establish the wearables market," said Ramon T. Llamas, research manager for IDC's wearables team. "But as tastes and demands have changed towards multi-purpose devices – like smartwatches from Apple, Fossil, and Samsung – vendors find themselves at a crossroads to adjust accordingly to capture growth opportunity and mindshare." IDC also points to the change in the types of places where wearables are being sold as another reason why smart wearables are picking up, pointing to the likes of Fossil and Movado that have entered the space and pushing its wearables through fashion outlets. While basic wearables are losing out to the smart ones, IDC's latest figures on shipments, market share and year-on-year growth for the third quarter of 2017 puts Xiaomi tied at the top with Fitbit. Xiaomi is of course best known for its budget Mi Band fitness trackers that don't offer support to download apps. In third place is Apple with the arrival of the Series 3 said to have seen an increase in shipments. Interestingly, Huawei is in fourth spot with Garmin in fifth, who saw a year-on-year decline despite having launched a number of devices this year. Interestingly, there's no mention of Samsung in that top five. So, it's good news for smart wearables and wearables on the whole and with a busy Christmas period still to come, we would not be very surprised if those numbers get a bit bigger before the end of the year.